After renovations lasting over a year, Cabot Square, featuring a new Aboriginal-run cafe, reopened in the Shaughnessy Village area of downtown Montreal last month. It now boasts free Wi-Fi, a new café, interactive history installations and two on-site outreach workers that tend to issues concerning the Inuit community and the homeless in the area. It has been designed to be an ideal place to host activities promoting Aboriginal culture and traditions. The rejuvenation project cost the city $6.3 million, exceeding the original budget of $5.5 million. 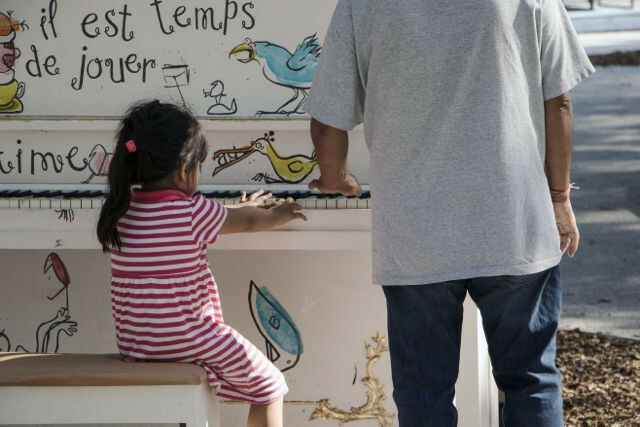 The new park, which is part of the city’s Programme Particulier D’urbanisme du Quartier des Grands Jardins, offers services in partnership with the Ville-Marie borough, the cities of Westmount and Montreal, the Makivik Society and the Montreal Urban Aboriginal Community Strategy NETWORK (NETWORK). The hefty price tag of the park has not gone unnoticed, creating a stark contrast with the funding of the area’s surrounding services for homeless and Aboriginal people. The Open Door Day Centre—the only shelter in Montreal to offer a place to stay for intoxicated individuals, operating on a budget of $100,000 per year—had a larger influx of clientele during the renovations. During the renovations, the displacement of local homeless people and Inuit people caught media attention. Although the park has garnered a reputation for being an area to avoid, the organizations involved in restoring the park ensured that it would be an inclusive space upon this summer’s reopening. Marc Garneau, MP of the Ville-Marie-Westmount riding says past “interventions” from police in regard to Aboriginal homeless people have lessened. The recent summer events organized by the NETWORK and the Ville-Marie borough in Cabot Square were seen as successful at trying to bridge the gap between Aboriginal and non-Aboriginal communities in the area, by creating a space that encourages intercultural dialogue and promotes cultural self-esteem. “I’ve seen a difference with some of these activities where they can proudly say, ‘This is my culture, this is my community’ and be able to identify with a more positive image, which is not something we have in Montreal,” said Pisuktie. With the renovations in Cabot Square came a new Aboriginal-run café. 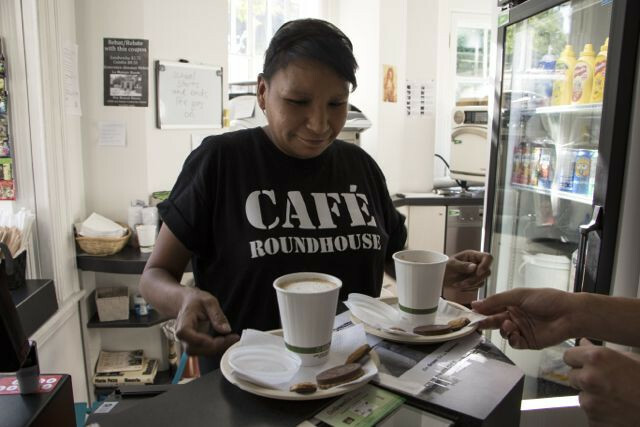 Called the Roundhouse Café, it is run by three employees and offers traditional Aboriginal food such as bannock and scone dogs. Open until October, it is located in a refurbished vespasienne which is shared with the Aboriginal outreach worker’s office. More recently it has added a book exchange to its site. 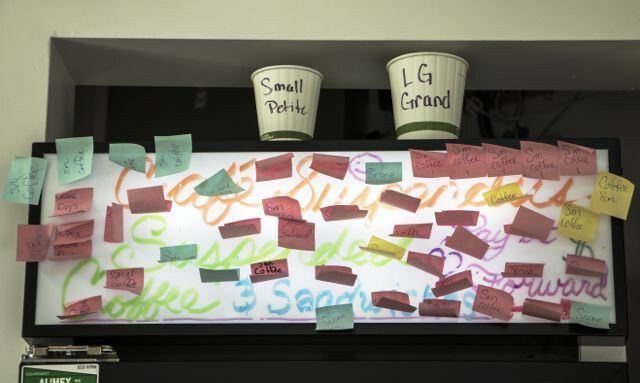 The café is operated in collaboration with L’Itinéraire, a community organization which aims to create social reintegration and rehabilitation for homeless individuals and those with addiction problems in Montreal. Al Harrington, manager café and former outreach worker with the Ka’wáhse Street Patrol of the Native Friendship Centre of Montreal, says one of the café’s goals is to show that First Nations and Inuit people are hardworking like anyone else. 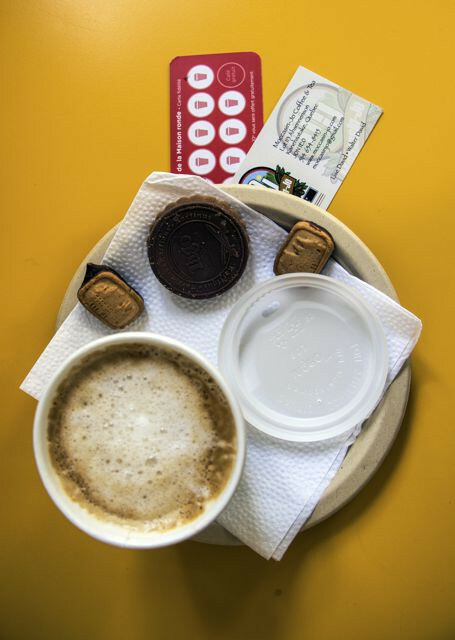 A pay-it-forward system—which provides the possibility to buy a coffee or a snack for someone in need while grabbing a coffee for yourself—was inspired by the demand of its own clientele. Harrington says that non-natives are supportive of the initiative. The café manager posts pictures of the pay-it-forward users on the Roundhouse Café Facebook page. “It started taking off. People online started seeing pictures of people donating and helping out and they just started coming by, curious,” he said. The Cabot Square Project and working at Roundhouse in particular have made him more optimistic. “This job has brought me back to that open heart and being kind again because street work gets to you after a while. I love it. At the end of the day, I go home with a smile,” he said.